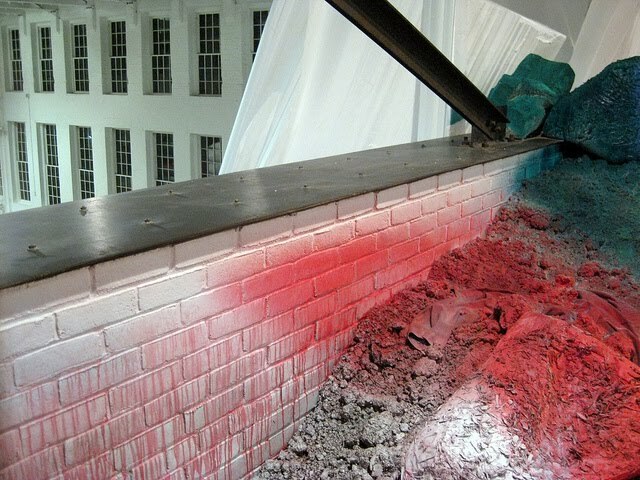 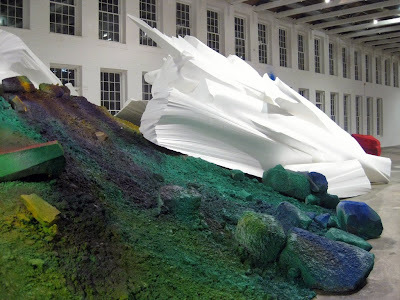 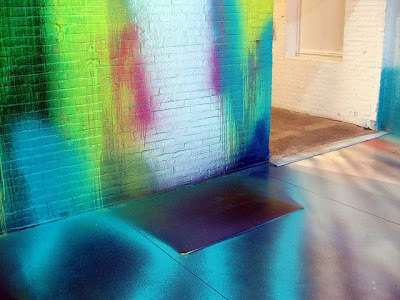 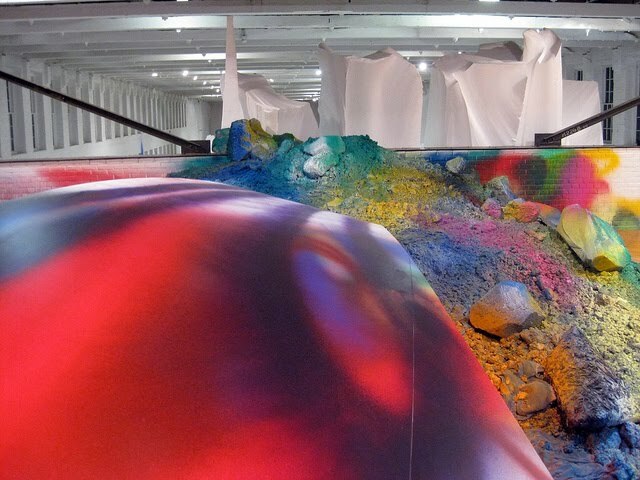 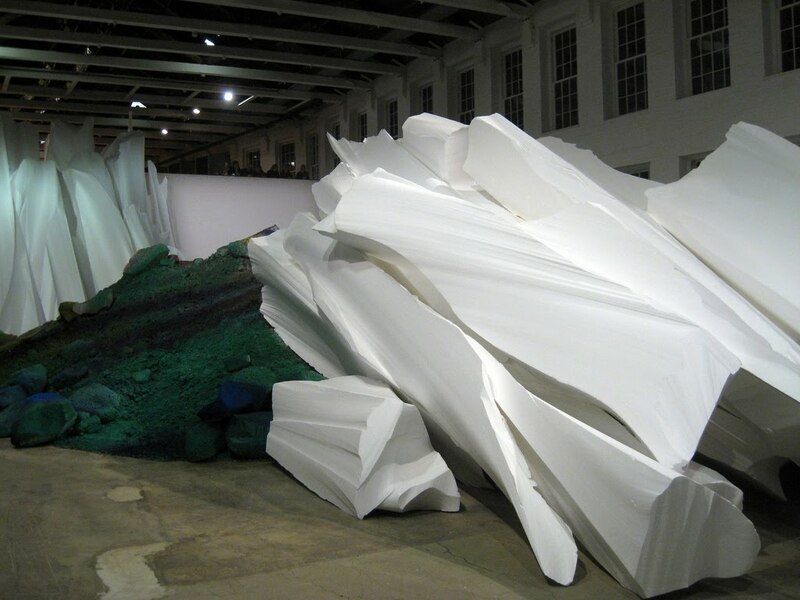 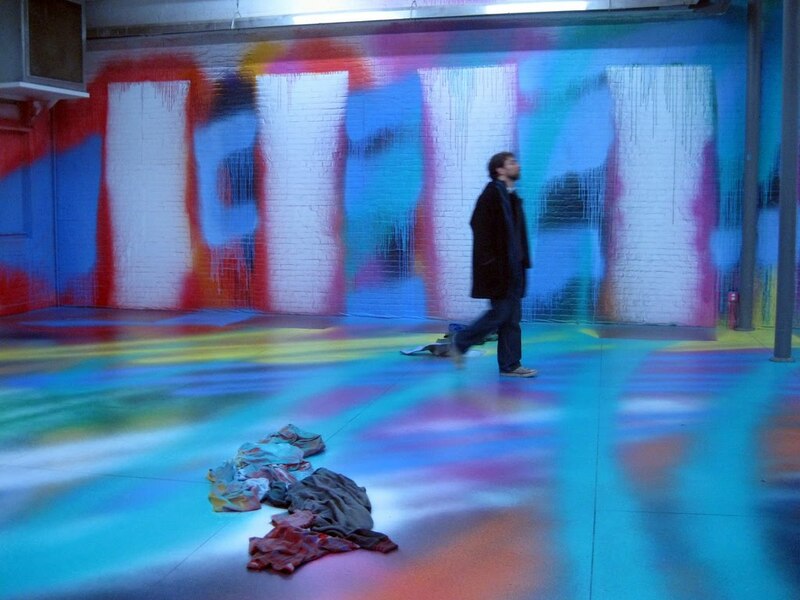 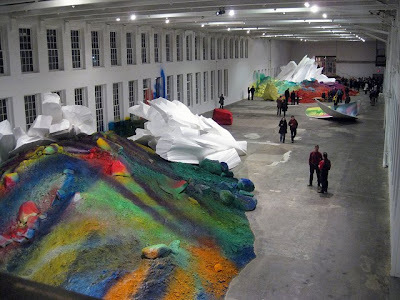 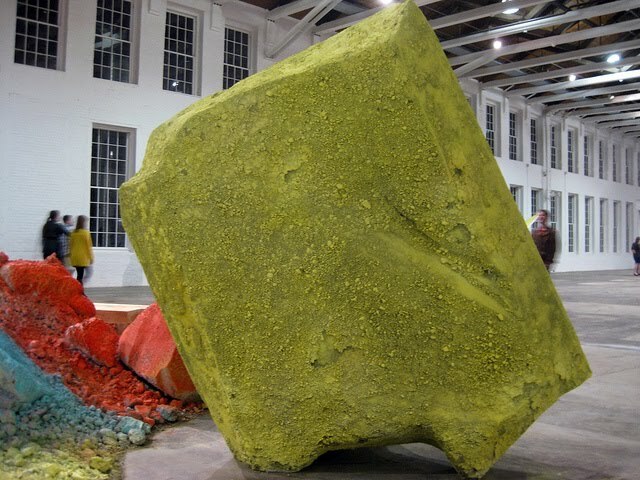 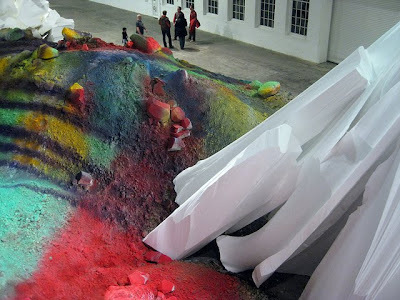 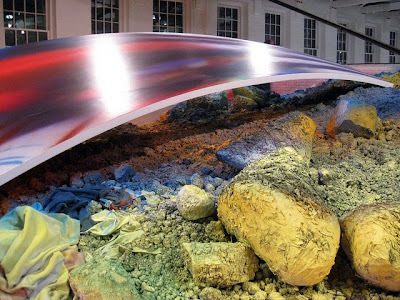 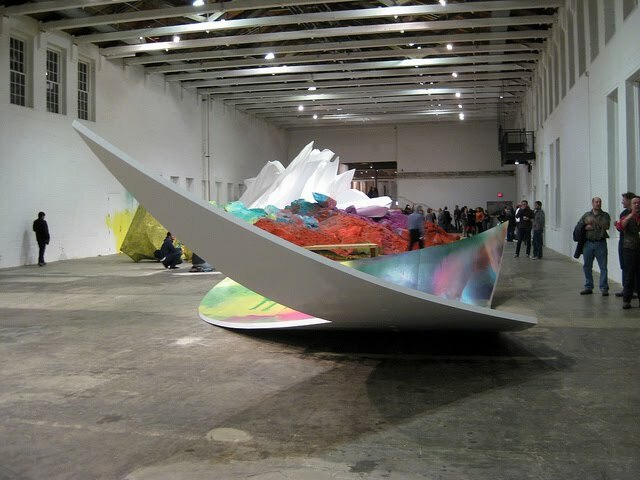 Katharina Grosse at MASS MoCA. boards used to cover the window for jenny holzer's show were recycled as masking for this wall... they don't waste anything at this museum (for example sitting in christoph buchel's abandoned theatre seats to watch guy ben-ner's mocking video). 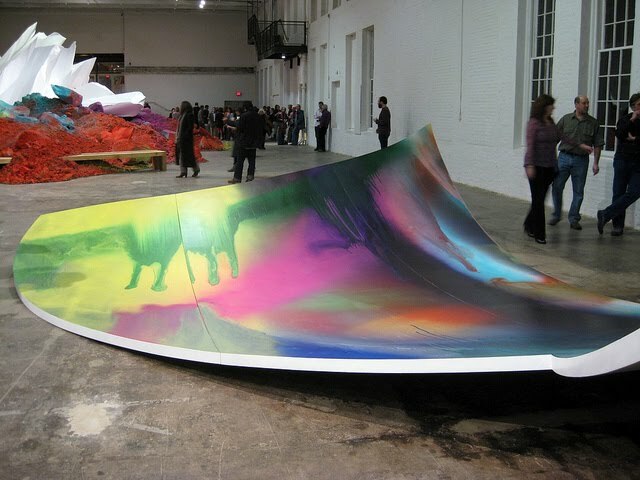 side by side BUILDINGs-ful of Katharina Grosse and Sol Lewitt wow.